If you have involved in the process of designing and developing a website, then you make use of Google Webmaster tools but you must know how to use it effectually. Google Webmaster Tools are considered to be the set of tools that enable webmasters to control and monitor their websites online. The best thing about these tools is that they are completely free and all it requires is just a Google Account. After logging into the webmaster console, you can include all your websites to it and administer the interaction of Google Bots with your websites. This webmaster tool is definitely the best resource and if you are not deploying it to monitor your website, then you can make sure that you are missing a golden opportunity. When you use these tools, you will be allowed to diagnose the current issues and problems associated with the performance of your website. You can sign into the Webmaster Tools by entering your Gmail username and password. Then you should list all the websites in one place, especially if you have more than one site. You can find Add Button on the right side and, by clicking on it you can add your websites to the homepage of the webmaster. Once you have added all your websites, just make a click on it for managing it. After doing so, you will be able to see crawl status which reveals out the status of the Google Crawler. This enables you to understand how many web pages of your site have been indexed by Google. If there is any problem in fetching your data or if the tools have faced any errors, it will be shown in Green color. Google Webmaster Tools play an integral role in generating successful [p2p type=”slug” value=”top-on-site-seo-strategies-to-raise-your-rankings”]SEO strategies[/p2p] that improves overall success of your business. It also helps in generating consistent and relevant traffic to your website. The information provided in Google Webmaster tools helps in identifying particular areas that have been highlighted by Google. Keywords found on your website can be weighed with the search phrases typed into Google by your potential customers. This is extremely important to ensure that you are reaping the most out of SEO for your website. The way your customers find your site is of great important to a webmaster and it also shows the keywords that can be used to generate more traffic to your website. the search queries will be clearly presented with the listing of ranks so it is not only easier to understand but also to make changes. Broken links, 404 errors, server errors, missing pages and denied access can prevent visitors from using your website correctly. 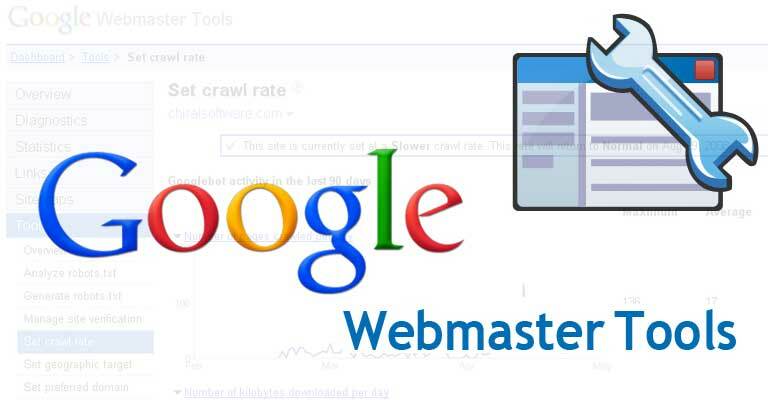 Google can acknowledge the errors that it has found while crawling your website through webmaster tools. Sitemaps shows the number of warnings and errors that have occurred on your website. It also shows all the URLs which are submitted and indexed into Google. All these gathered details can be used by web marketing specialists for improving your user experience and creating more traffic. If you are having more than one websites to manage and optimize, then Google Webmaster Tools will be the right choice. It provides you with the facility of optimizing your websites to search engines, especially to increase the traffic to your site. These tools are being used by a lot of SEO companies to provide search engine optimization services and increase traffic to their clients’ websites. Following are the benefits that you can avail by using [p2p type=”slug” value=”should-google-get-rid-of-urls-on-search-result-pages”]Google webmaster tools[/p2p] to manage your site. Google webmaster tools provide a platform for the individuals to submit the XML site map of their websites. Site Map is said to be the list of pages included in a website. In fact, these inner pages are arranged in a hierarchical manner in the site maps. These site maps are beneficial for webmasters as they can insist the search bots to crawl through the pages. In fact, it is also possible for the webmasters to know the number of pages on their sites has been filed. Google Robots crawl and index those pages which can be beneficial for potential search engine results. The webmaster can access to this information through the dashboard of Webmaster Tools which allow them to fix any problems and gratify their website’s potential. Google webmaster tools also provide you with the facility of knowing the keywords that enable your site to get listed on the search engine result page. In addition, you can also know the number of users clicked on your website. This information enables you to identify the most familiar pages on your website. As a webmaster you can increase the optimization of your website by choosing the URM to which you want the search engines to direct traffic. Webmaster tools can also provide you with a list of both internal and external links to your website. You can also get the details of the websites that point to your sites. Google Webmaster Tools enable you to access to the information about the aggregated and average load time of various web pages of your site. The load time of the site is nothing but amount of time that a website takes to open on a web browser. You can also calculate conversion rates, inbound links, site traffic, reliable links, etc. through webmaster tools. Google webmaster tools portray all sorts of errors such as broken links that occur on your website. Apart from this, you can also identity the links that drive traffic to an invalid page of your website. In short, you will be informed about the features of your website that confine access to your site visitors. Google webmaster tools also provide you with a list of URLs which have duplicate Meta description and title tags. With all these benefits of Webmaster Tools, you can make a great difference in driving traffic to your website. What Actually Search Engine Optimization Is?